Now click on the Add New button which appears at the top of the screen. Then click on Upload Theme at the top of the screen, and a new section will expand. Click on the Choose File button and then browse to the zip file ( neve.zip) for Neve and select it. Then click on Install Now and allow the process to complete. Then click on Activate. This is, in a way, Neve's own personal portfolio. Here you are given a lot of information about what Neve can do, and how to do it. Also, the tools are linked there for easier access. Although it is not mentioned in the Useful Plugins tab yet, AMP for WordPress is a plugin that is capable of making full use of Neve's speed. Neve is an AMP-ready theme capable of lowering down your loading times for a more fluid experience. In order to use Neve at its full potential, you would need to install the AMP for WordPress plugin to enable AMP on your website. 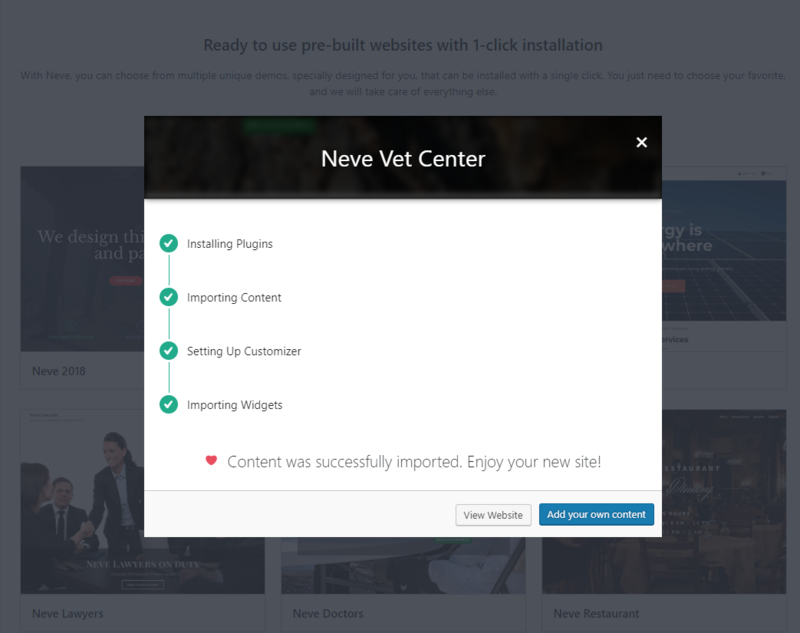 This feature is the fastest and easiest way to set up your website with Neve. 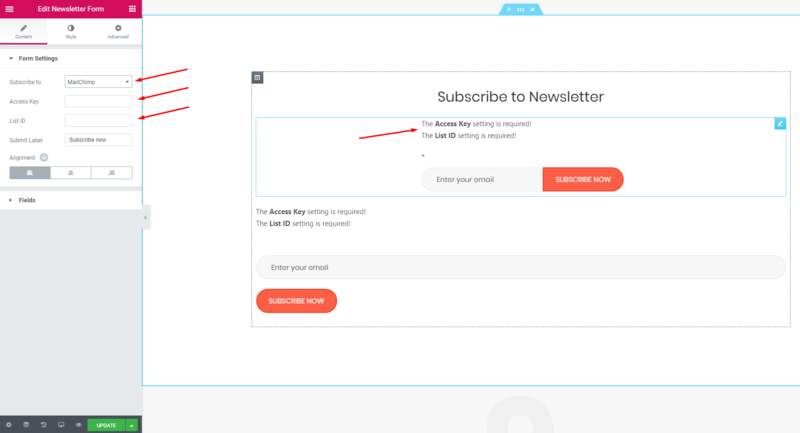 Once you've installed and activated Neve, a notice will pop-up in your dashboard which will get you started with our. There are multiple demo contents which can be easily imported, among which stands the content from our Neve demo website. By agreeing to this, Elementor will be automatically installed in order to facilitate the process. 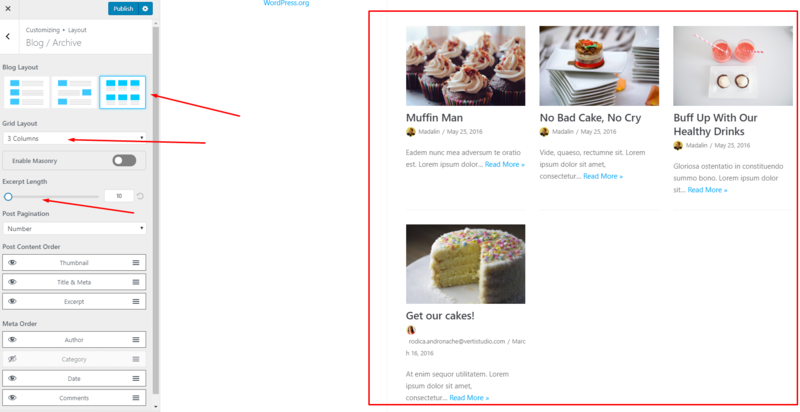 This feature will import an entire demo which, among other features, comes with a well-designed Frontpage and Blog page with thematic-based posts. The imported demo can be easily customized further. Click on "Preview" button and if everything looks fine, click on "Import". Also, there is another way of importing demo content if the notice does not show up. Please navigate to Appearance > About Neve > Sites Library and choose the template you would like to import. Once you've chosen your desired "outfit" for Neve, you can Preview the changes or Import them directly. You can find more details about what can Neve do, and how to do it by navigating to Appearance -> Neve Options. After Importing the demo content, one of the imported pages was automatically assigned the role of the Frontpage. You can check this by navigating to WP-admin -> Pages. Since the page is based on Elementor, you can further customize your Frontpage directly from WP-Admin -> Pages -> Frontpage -> Edit with Elementor. Some sections are built in duplicates and loaded separately according to the device that's currently accessing the website. For example, the Subscribe section is loading the first item for the Desktop view, and the second item for phones or tablets. For this part, we'll be talking about the Neve Original demo from the list of demos mentioned above. 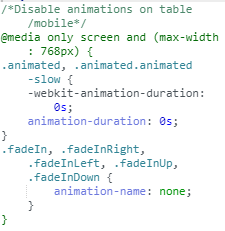 At the bottom of the frontpage there is an HTML widget which contains some CSS code made for disabling the animations for mobile devices / tablets and some fixes for Internet Explorer. By clicking on the white area below the message written in red you'll be able to see the CSS code capable of adding extra features to the footer sections for mobile devices and tablets. As the comments above each snippet describes, each piece of CSS code has its own customizable purpose. After the theme is installed and activated, go to Appearance → Customizer to start customizing Neve. The Customizer options are mostly addressing all pages except for the imported frontpage which can easily be customized with Elementor, as seen above. Neve has one of the most streamlined Gutenberg experiences a theme can offer at this moment, as a result of the entire team's efforts and proactivity about integrating Neve with the new Gutenberg editor. 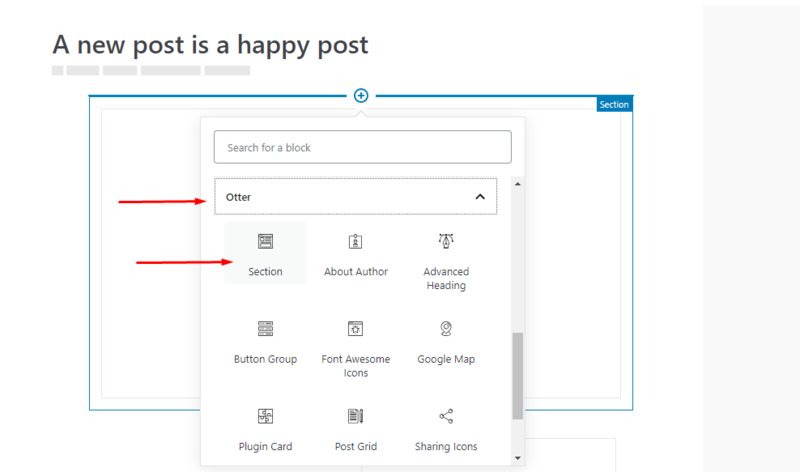 Not only can you easily create posts in Gutenberg having access to all the options that Neve offers, like changing the layout of the page, the sidebar position and width, disabling elements on the page and many more, and all of that directly in the Gutenberg editor, but you can also use all the great Gutenberg blocks from our recommended plugins which are fully compatible with Neve. Check the videos below to get a better look at how easy is to use Gutenberg with Neve. Now it's easy to create and customize posts with Neve using specific blocks brought by the Otter plugin. In order to use this feature you would first need to install and activate the Otter plugin. Container width - Option to control the width ( in pixels ) for the containers across the site. 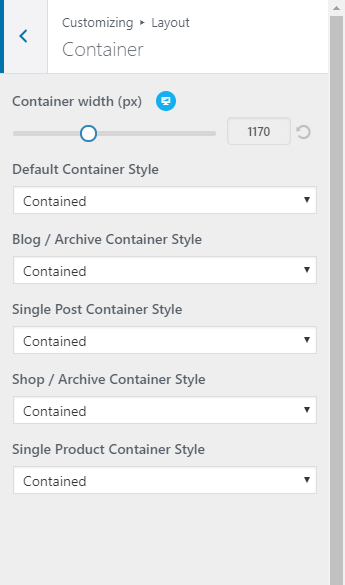 Container Style - Individual options for each type of page to control the layout of the containers. You can choose from Contained or Full Width. 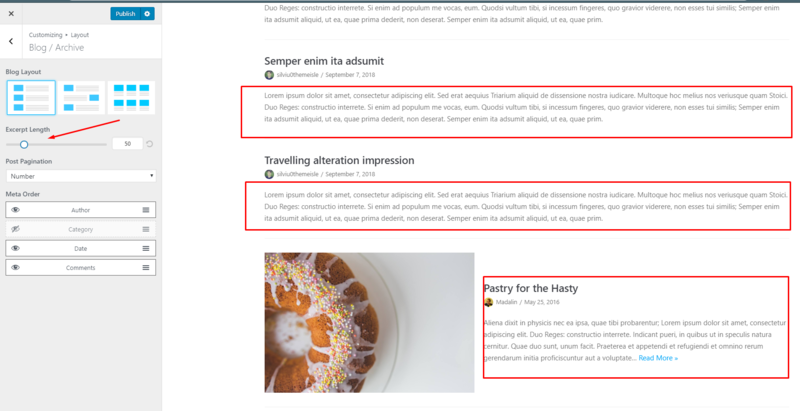 Page specific layout: The individual page layout can also be customized from the sidebar available in every page's settings. Please go WP-admin → All pages → Your_page. 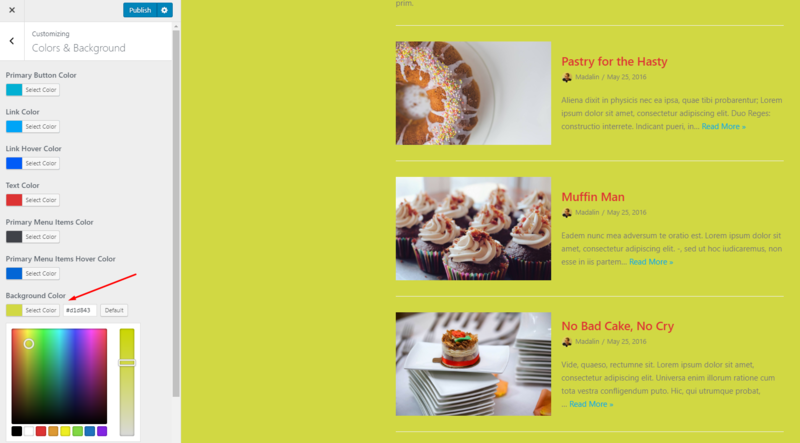 The content width / sidebar can also be controlled from Appearance -> Customize -> Layout -> Content /Sidebar. The width is displayed as a percentage. 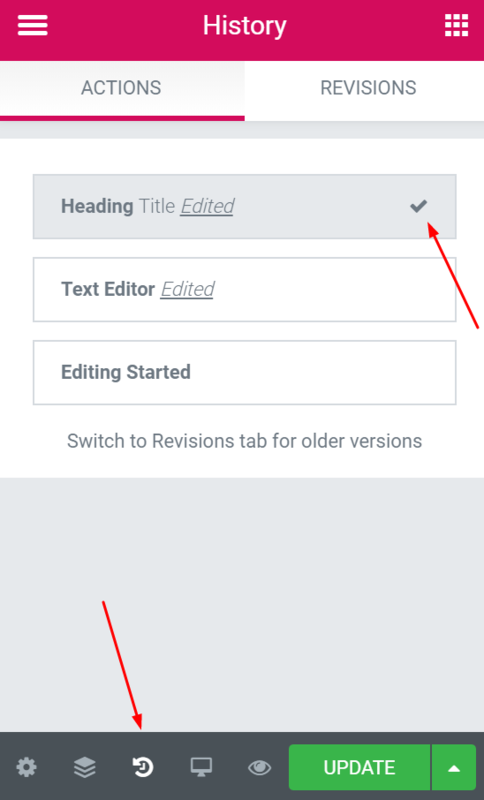 By default, the content width is set to 100% when there is no sidebar located on the page and to 70% when a sidebar is enabled. You can return to the default values anytime by pressing on the circular arrow located on the right. 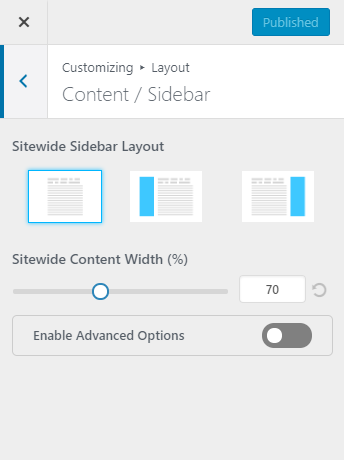 The first option is for customizing the Sitewide Content Width and will apply the selected content width in the same way for all compatible items. 2. The second option is to Enable Advanced Options and tweek each item individually according to your personal preferences. Advanced Options include items like: Blog / Archive, Single Post page, Shop Page, Single Product page and Others. 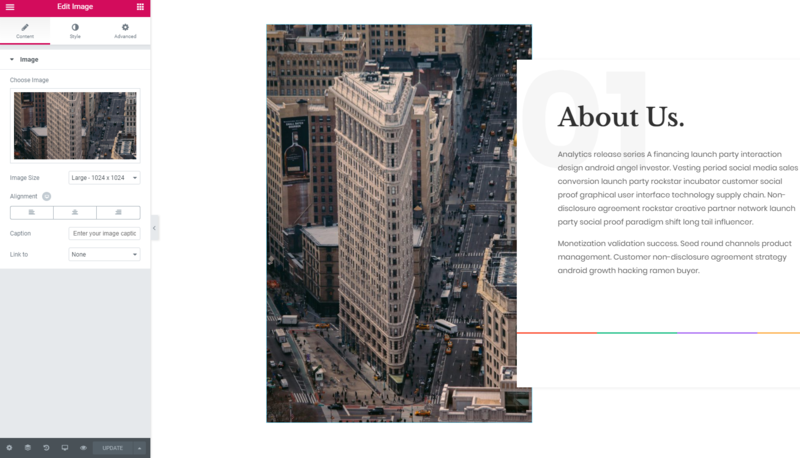 Blog / Archive - with this you can control the layout of the sidebar and the content width for the Blog and archive pages. 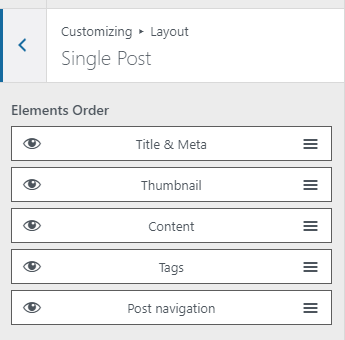 Single Post - is addressing the width of the content and the sidebar position on a post's page. Shop / Archive - can be used to control the sidebar layout / content width on the Shop page and the archive pages associated with the Shop page. Single Product - is made for controlling the sidebar or the content width on a single product's page. Others - this applies for all the other types of pages which are not listed above. 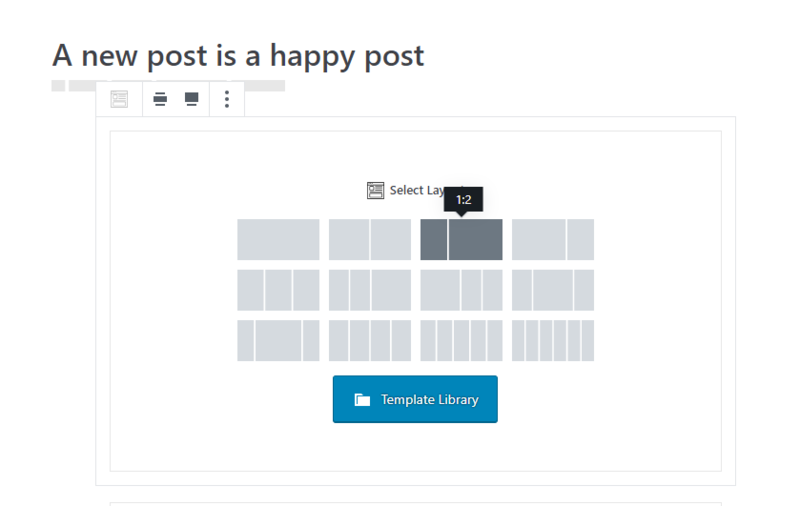 Blog / Archive - is meant for choosing your blog page layout, the excerpt length for your posts, post content order and even customizing the metadata order. Single Post - the possibility to reorder / display / hide the elements on single posts/pages. The latest update of Neve adds a new versatile builder for the header and footer areas of your site. With just a few drag-and-drops you can create your perfect header and footer. The header builder has three rows in which you can easily drag-and-drop and arrange the available components you can find at the bottom of the builder. Each component has specific options you can customize once that component is clicked on. Also, each component's width can be adjusted so that it corresponds to your needs. 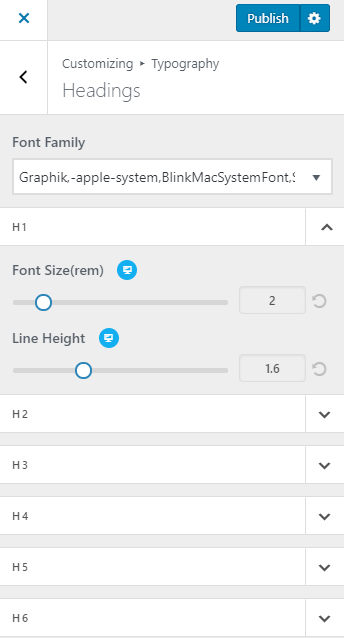 The header builder allows for different headers on Desktop and on Mobile devices. Just click on the Desktop/Mobile icons and you will get access to the corresponding builder. Logo - Suggested image dimensions: 150 by 100 pixels. Site Title - The main title of the site. Tagline - A tagline is a short phrase, or sentence, used to convey the essence of the site. In Hestia, the tagline is also used as a title for the latest posts page ( if in Reading -> Settings you have selected "Your latest posts" option ). Logo max width ( in pixels ) > this can be adapted for Desktop, Tablet and Mobile devices. Site Icon - A unique icon for your site. Option to align the component. Offers 4 different skin modes to choose from, options for the menu items colors, an alignment option, and the possibility to add a search or a cart icon at the end of the Primary Menu. This component ( as suggested by its name ) is adding a menu icon which on click, will slide-in, from the left side whatever is added in the Sidebar area of the builder. By default, the Primary Menu is added there. To have access to the Sidebar area, make sure the Show Sidebar toggle is checked. Consists of two fields: Text and Link for the button, and an alignment option. Consists of an area which allows for HTML code and an alignment option. Consists of a placeholder field and an alignment option. Offers 4 different skin modes to choose from, options for the menu items colors, and an alignment option. Can be used only if WooCommerce is installed and activated and consists of an alignment option. 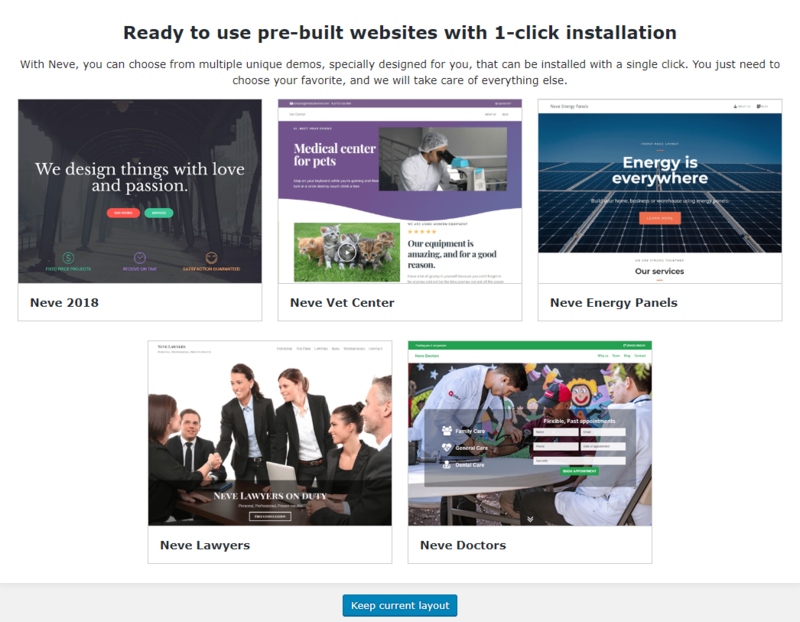 The footer builder has two rows in which you can easily drag-and-drop and arrange the available components you can find at the bottom of the builder. Each component has specific options you can customize once that component is clicked on. Also, each component's width can be adjusted so that it corresponds to your needs. 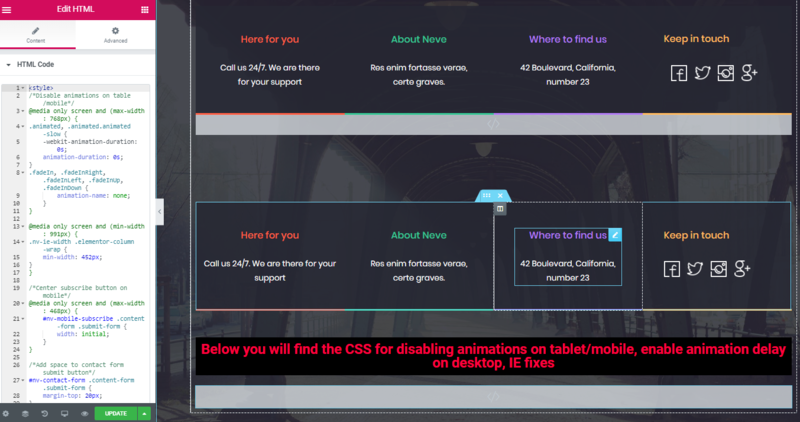 Consists of an HTML input area and an alignment option. Consists of four different skin modes to choose from, options for the menu items colors and an alignment option. Each of the four Footer components consists of a widget area, where you can add as many widgets as you wish, and an alignment option. This customizing option gives the opportunity to edit various sets of colors (for menu items, links, texts and buttons) and choose your own background image for the frontpage. General - allows customizing the font family. Body - allows customizing the font family and the size for all the strings found in the body of each section. Headings - allows customizing the font family and the size for every string acting as a header. Neve supports three menus: Primary Menu, Footer Menu, and the Very Top Bar Menu. More Details on How to create and menus. Just like the icons, you can style each menu item by using various classes. Add the " btn" class to the CSS Classes field, followed by " btn -primary". This one takes the color you set in the Customizer under the Colors > Accent Color option. If you add the " btn -round" class, the button will get a rounded border. 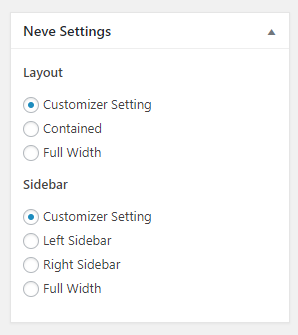 Neve supports 4 widget areas: Footer One, Footer Two, Footer Three, Shop Sidebar. As the name suggests, the Footer One, Footer Two and Footer Three widget areas are situated in the footer of the site and can be filled with the widgets of your choice. The Shop Sidebar widget area is explicitly available for the Shop page. In it, you can add any widget you would like from the widget list. 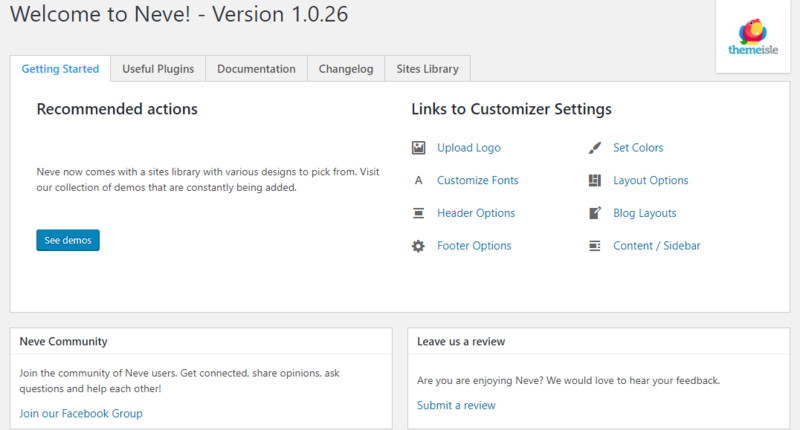 You can manage all the widgets from the customizer as well as from WP-admin > Appearance > Widgets. 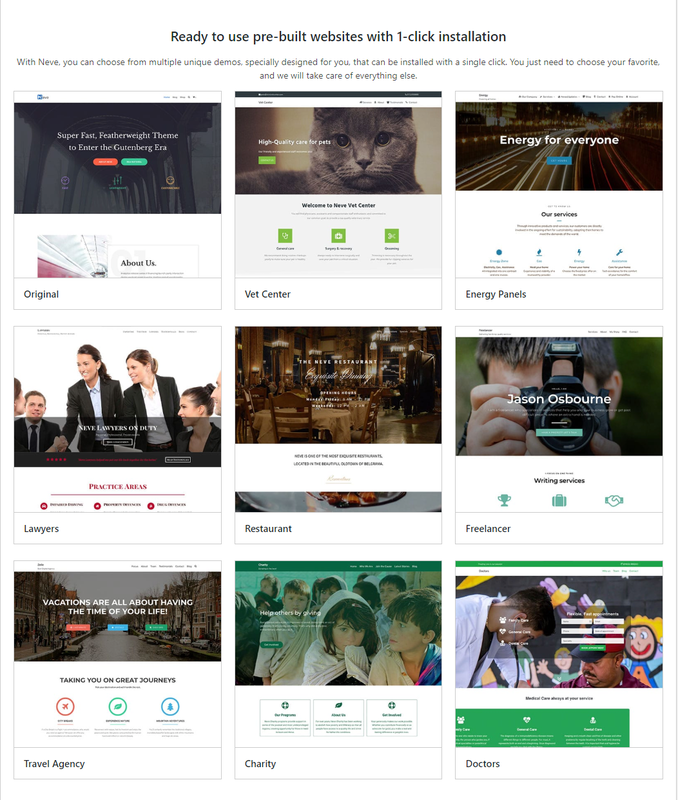 Do you want to customize specific areas of your website? Add custom CSS to the Appearance -> Customize -> Additional CSS section. If you are new to CSS and WordPress you can also take external freelancer help from websites such as http://upwork.com or http://code able.io. 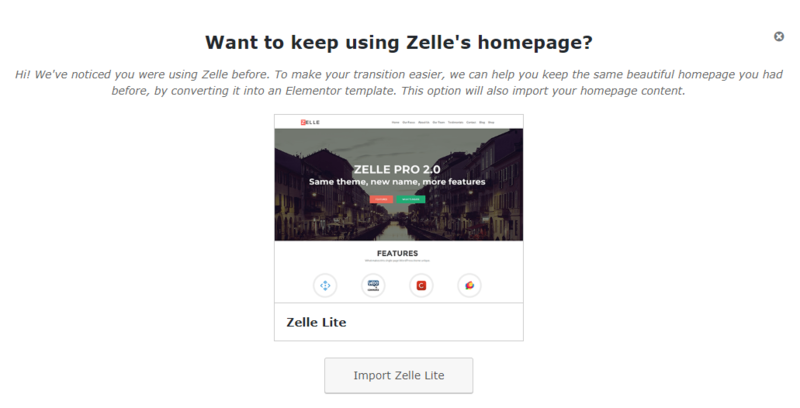 Elementor provides a simple way to revert unwanted changes made to your website. If you would like to return to an older version of your Elementor built Homepage, you can simply navigate to History located in the bottom menu bar of Elementor. Choose the version where you would like to return to, and press on the round arrow.